Relief from newborn acid reflux takes only a few simple gestures and good habits in most cases. Costly natural remedies tend not to help and medication is only needed in few, serious cases. All too many newborns who cry often and sleep poorly are diagnosed with acid reflux. Every young baby, whether breastfed or formula fed, will spit up some milk after a feed. That is normal and it is the harmless form of reflux, called Gastro Esophageal Reflux or GER. It is simply due to the very new and immature digestive system. The relief tips below will be all you need to help your baby through this phase. There is a medical condition also, the serious form of reflux: Gastro Esophageal Reflux Disorder or GERD. In this case, your little one will not just spit up once now and then and not be bothered by it, but will repeatedly spit up up to 5 times a day or more. She may not only cry a lot and sleep poorly but also not gain weight as she should, and not develop well overall. It's also important to recognize the differences between GERD and vomiting (vomiting may be a symptom of different and serious conditions like gastroenteritis, pyloric stenosis). Check this article by the AAP on the differences between GERD (spitting) and vomiting. If you suspect GERD, consult your pediatrician who can suggest the right treatment. But alongside that, the relief tips below remain helpful and important. Quite naturally, we often tend to keep a tiny just-born in a lie-down position. We keep her lying in our arms when holding close or carrying around. She's lying down to be changed, when put down to sleep and ... when feeding her. It's easy, and a good safe position for the just new bones and muscles. But, when it comes to digesting food, lying down is not so good. You can prevent most troubles with acid reflux simply by keeping upright during and after feeding. Combine this with light, small but regular feeds and you'll have solved most discomfort before it even starts! (Continue to) breastfeed: breastfeeding is perfectly adapted to your little one's needs. It's lightly digested: exactly what you need to avoid the reflux issues. Try and find a position in which your baby is not lying entirely flat though. Feed small portions frequently: your newborn will cope with small portions much better than larger portions. So do stick to feeding small amounts every 2-3 hours rather than trying to stuff and hold out for longer. Tip: This small-portions tip is also an important safety recommendation that I give with regards to sleeping. 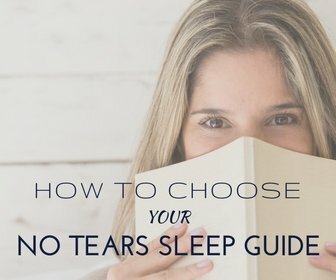 The Complete Newborn Sleep Guide (e-book) details this and other safe sleeping advice for the first weeks. Feed upright: whether breastfeeding or formula feeding, have your child upright as much as possible. Keep upright after a feed for at least 20-30 minutes. Avoid putting her down straight away. You may want to change diapers before feeding so you are not in a rush afterwards to lie her down to change. Burp after feeding: while keeping your baby upright, gently pat her back or move her high up on your shoulder (facing opposite to you) to help her burp. Not all babies burp easily but it is important to give yours at least the opportunity to do so. Lift up the crib mattress??? No. This is a classic recommendation for reflux i.e. to have baby sleep with her head a bit higher than the rest of her body. I don't recommend this since it is not safe for your baby. 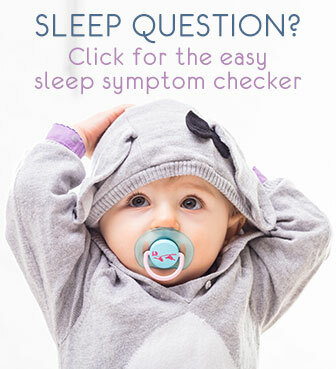 If you feel your baby really should sleep on an incline, please only do this after consulting your pediatrician and having received his or her explicit and practical advice on how to do this safely. The same warning against using a car seat or swing to keep your baby on an incline: that's not recommended and not safe. Newborn acid reflux can be very uncomfortable. Your baby will often cry when put down and may have trouble sleeping. Carefully do all the tips above and you should see relief quickly. If no improvement or if you worry about your baby in any way, or wonder whether she has a more serious form of acid reflux it's crucial to consult your doctor.